The Tanzanian Ministry for Energy has revealed that Tanzania will proceed through building a Chinese-funded 1.2 billion USD gas pipeline from Mtwara to Dar es Salaam, despite civil protests over the project. Tanzanian policy Officials approved the project budget on Saturday and advised that the gas pipeline work will continue till its completion in December 2014. Tanzania Energy and Minerals Minister, Sospeter Muhongo said “The only way of growing our economy is to have this pipeline in place …the pipeline will banish poverty in our country, the World Bank will give us 300 million USD and we have received a 200 million USD grant from the African Development Bank for the transformation of TANESCO”. With figures exceeding the original estimation of 41.7 trillion cubic feet of recoverable natural gas reserves in the country, Tanzania is expected to become the world’s third largest exporter of natural gas. 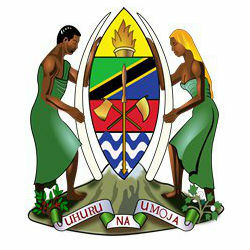 Minister Muhongo said the project would help to boost economic growth in Tanzania to 8 % by 2015 from 6.9 % in 2012. The budget will be used toward the gas pipeline and the ongoing restructuring of the Tanzania Electricity Supply Company (Tanesco), Tanzania’s main electricity generator and distributor.